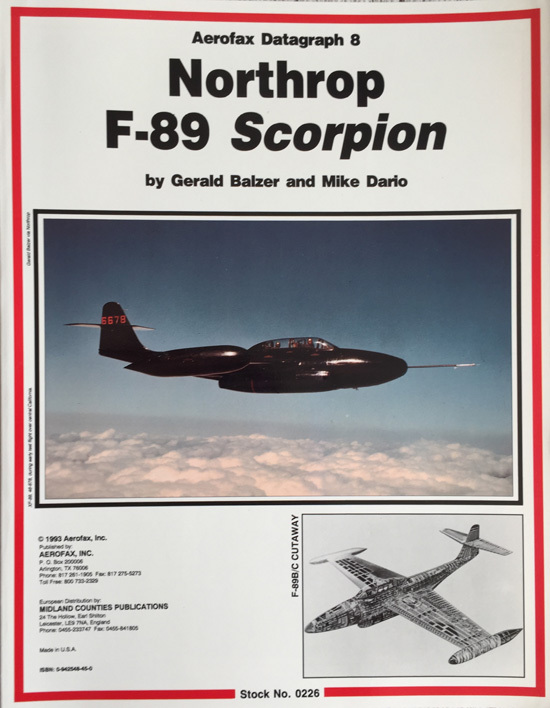 This volume in the Aeroflax Datagraph Series, in excellent condition, tells the story of Northrop F-89 Scorpion. All models of this jet aircraft are described in detail and the book is well illustrated inw ith photographs and line drawings. This volume in the Aeroflax Datagraph Series, in excellent condition, tells the story of Northrop F-89 Scorpion. All models of this combat aircraft are described in detail and the book is well illustrated inw ith photographs and line drawings. The binding is secure and tight and the interior is fresh and in near fine condition.